California Senate President pro Tempore Kevin De León is facing yet another scandalous issue. I also heard about Hall’s “obscenity-laced tirade.” I was told Hall said, “Are you the mother******s here to testify against me tomorrow?” Hall then allegedly said, “I have a memory and I am going to get you,” delivering a threat. My sources said Hall dropped the mother*****r F-bomb numerous times in a hair-raising, threatening tone to the farmers. The pending Floor confirmation vote on Commissioner Hall be postponed until the conclusion of the investigation. The back-story is about Gerawan Farming, and its 5,000 employees, targeted since 2012 for unionization by the United farm Workers Labor Union, with help from the ALRB. The Gerawan workers fought back against unionization, even holding an ALRB election to try to decertify the labor union – largely because most farm workers have no interest in “organizing,” and losing 3 percent of their pay as mandatory dues. While most of Gerawan’s employees are well-compensated full-time workers, many farm workers are seasonal and work in various locations around the state. I have been told by many workers they don’t see any advantage to the union “stealing” their hard-earned income for dues. When the UFW couldn’t convince Gerawan’s employees to join them, the union leaders turned to the ALRB to force them into the union. Former Senator Isadore Hall marched with the President of the United Farm Worker’s labor union, and publicly declared his solidarity with the UFW campaign against the Gerawan Farming employees, was appointed by Gov. Jerry Brown to the Agricultural Labor Relations Board. Hall’s confirmation hearing was March 1. 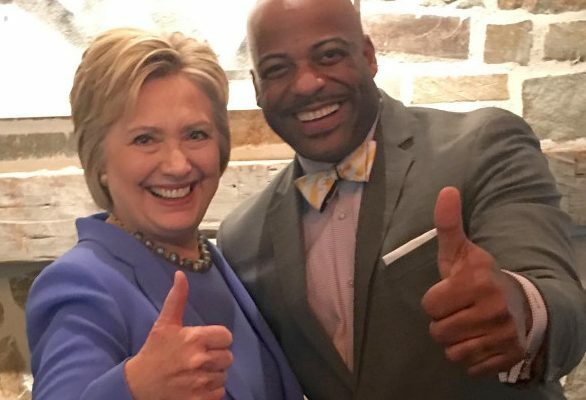 After losing a race for Congress in November 2016, Hall became just another former state legislator who found himself out of work… thus, the appointment to the ALRB at $142,000 per year. Hall has announced he will make another run in 2018… while he is on the ALRB? 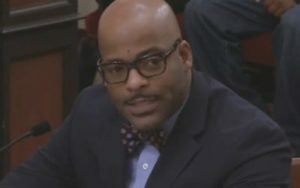 In June, then-Sen. Isadore Hall insulted and provoked opponents of numerous gun-control bills during committee hearings. “These crazy, vicious, heartless individuals, who come here and defend the senseless act of terror… They are protecting the vicious murderers,” Sen. Hall said, directing his comments to Daniel Reid with the National Rifle Association’s Institute for Legislative Action, and Sam Paredes with Gun Owners of California, who opposed Hall’s bill. “They care more about the ability to hold a weapon in their hands,” Hall added. “They need to wash their mouths because they are filthy,” when they testified that the bills would not save lives. 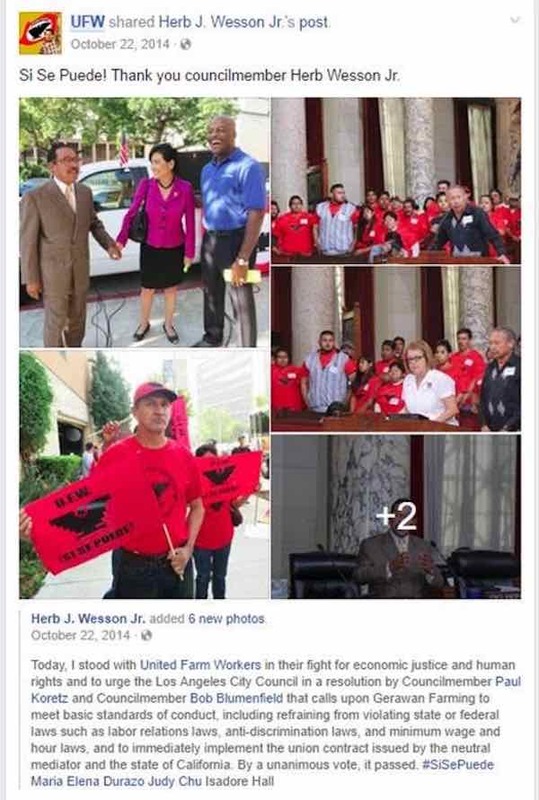 Attorney Anthony Raimondo, who represents many of the Gerawan Farming workers who don’t want to be forced into the labor union, challenged the members of the Senate Rules Committee on whether Hall had the capability to avoid the appearance of bias when he marched with the UFW, and was photographed waving the UFW flag, and embracing UFW President Arturo Rodriguez. “Can you assure them (the workers) they should believe cases will be heard impartially by Mr. Hall at the ALRB?” Raimondo asked. The other issue is why the farmers present for Hall’s obscenity-laced tirade did not speak out and report this the very next morning at Hall’s confirmation hearing to de León, who is the committee chairman. It would have been the perfect opportunity to get the skunk on the table, and describe Hall’s outrageous thug behavior. But they did not. Instead, George Radanovich, president of the Fresno-based California Fresh Fruit Association, delivered a tepid statement barely opposing Hall’s confirmation, leaving many puzzled over the apparent appeasement. Radanovich, a former eight-term Comgressman, also never even mentioned Hall’s threatening f-bomb tirade from the previous evening. Who is pulling his strings, and why? It is unlikely former Sen. Hall would have been confirmed by the Senate Rules Committee had Radanovich told the truth of what happened the previous evening. Now the question is what will Sen. President pro Tempore Kevin de León do with this information? As Sen. Vidak pointed out, Hall’s final confirmation is still pending a full vote of the Senate. And what, if anything, can and will Gov. Jerry Brown do with this information about his appointee to the ALRB? Lastly, Senator Isadore Hall’s repugnant threatening behavior surely broke some law, or violated oath of office. What is the proper recourse for justice?